Coach K, Mike Krzyzewski is widely regarded as the greatest collegiate basketball coach of all-time winning over 1,000 games. During the 2014-2015 season, Justise Winslow helped lead Coach K and Duke to a National Title defeating the Wisconsin Badgers. After the season Winslow declared for the NBA draft where he would selected in the top 10 by the Miami Heat. 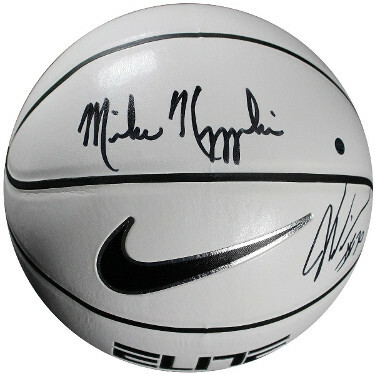 Mike Krzyzewski and Justise Winslow have hand signed this this Nike Elite NCAA White Panel Regulation Basketball. Steiner Sports Hologram and Certificate of Authenticity.